"A variety of the challenges occurred in Indonesia requires more attention and real actions, particularly from youth and society in general"-Asnawi. The phrase was said by President of America -John F Kennedy - "Do not ask what your nation gave for you, but ask what have you given to the nation and your country". This is one of the reasons why Gerakan Mari Berbagi (GMB) is running. GMB is a social movement that initiated by Mr. Azwar Hasan. GMB encourages the mainstreaming of attitudes and values shared in daily life that exceeded, its own sake and to recognize own existence by sharing. It spawned a program which aims to provide an opportunity for leaders selected young leader to get to know themselves more deeply with a variety of activities including building a network of fellow youth. 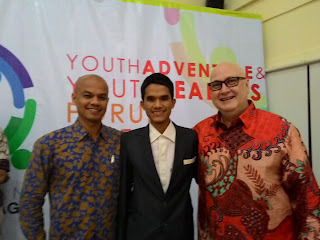 The program is YOUTH FORUM ADVENTURE AND YOUTH LEADER (YAYLF). In 2015, I was elected to be the part of GMB after joined with the strict election. Then, all of the selected participants should join Youth Adventure (YA), a pre-event that must be passed by selected participants in order to know our self through an intercity road trip in Indonesia. The selected participants divided into small groups who come from different backgrounds. At that time, each individual only provided with 100 K, several T-shirts and calendars. The participants are forbidden to used their personal money during the trip. The goals are participants will feel the direct experience of how to be “hands down” or pilgrimage Survivor, know how to build social relationships in the group and the community that will be visited and asked for their help to get through the challenges during the journey and can successfully reach the Youth Leader Forum (YLF) in Jakarta. Participants also required carry out activities of to share Ziarah Tangan in one of the city passed during the trip. 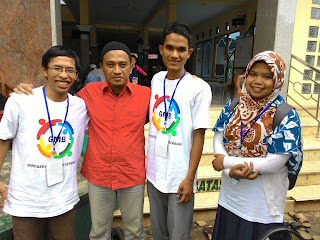 My team started the journey from Semarang, to the Batang sub-district to do "Ziarah Tangan Dibawah" and then to the city of Tegal to do "Ziarah Tangan Diatas" and had to return to the guesthouse of Kemenpora, in East Jakarta at 14:00 Pm. This is why we call Youth Adventure into a battleground between egoism with the interests of others. Instead of the usual odyssey, but an adventure that can change the direction and way of life into a better direction. The luckiest team in 2015 is my team- that consist me from Aceh, Agus from Semarang and Asiah from Makassar-. 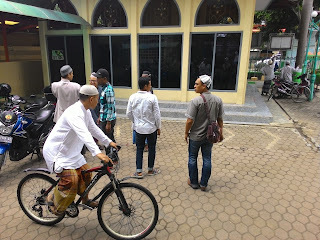 If the other team during YA required staying in prayer rooms, an ordinary citizen home, Islamic foundation (pesantren), mosques terrace. My team was hosted by the Regent of Batang Mr. Mayor Arh. (Ret) H Yoyo Riyo Sudibyo known as Pak Yoyo, whose face is now more often appear in various print and electronic media. After completed our mission in Batang and Tegal, we were moved to Jakarta. At the time we don’t have enough money to buy the tickets that reached 300 thousand each person. So that, I came to the police office of Tegal to get the Letter of Displaced and we show it to bus driver so that we don’t need to buy the tickets. But it not worked well, when we have arrived at the terminal of Tegal the bus was running so early. So that, I asked to the security and also the manager of the terminal to give us the permittance to another bus.We arrived at the terminal of Kampung Rambutan at 04:00 am, we took Subuh prayer. I and my friends scurry to go to Wisma of The Ministry of Youth and Sport of Indonesia, East Jakarta to attend the Youth Leader Forum (YLF). Basically, YLF is same such another event where we get some knowledge from the invited speaker. But the things that make YLF so differents with another event is the session always begin on time never late even a minute. In addition, all of the invited speaker coming to the YAYLF without getting paid from GMB. All of them coming as voluntary. 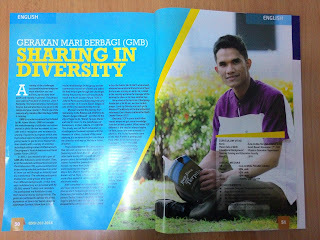 This is why GMB unique and different from the other program. 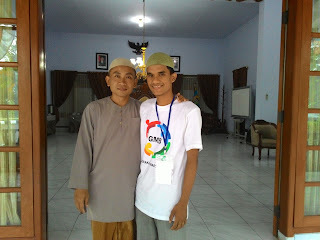 At the end but not least as the appreciation of GMB to all of the member, every year the GMBers will have an opportunity to do homestay program in Japan, Australia and also Netherland for one month. Because we do believe I share therefore I am.